Not all shoppers realize that the pricing of the 2009 Toyota Avalon reaches up into the range of the Lexus ES 350. Don’t be bashful about strolling over to the Lexus dealership if the Toyota office won’t give you a deal; Lexus stores are known for far superior customer service. The 2009 Toyota Avalon isn’t a Lexus, but it almost feels like one. The big, roomy sedan is designed for providing a comfortable ride and plenty of interior space, and it absolutely succeeds on those fronts. TheCarConnection.com has looked to some of the best automotive resources to bring you this review. And to help you make the best of opposing viewpoints, TheCarConnection.com’s editors have included their own firsthand observations along with information from others. Toyota's 2009 Avalon is the automaker's entry into the full-sized sedan market. The 2009 model is very similar to that offered in 2008. For 2008, Toyota upgraded the brakes for better response, less fade, and shorter stopping distances. The Avalon is powered by a 3.5-liter V-6 engine, generating 268 horsepower and driving the front wheels via a six-speed automatic transmission. Nearly every aspect of the 2009 Toyota Avalon driving experience is centered around comfort, assurance, and, in most respects, isolation. The suspension soaks up nearly every kind of bump, yet the body stays in check if you pitch the Avalon into a sharper corner, showing plenty of poise, though it doesn't feel remotely sporty. Its V-6 can barely be heard while idling and is glassy-smooth across the rev band, and its automatic transmission shifts almost undetectably. The Avalon's fuel economy ratings are among the highest in its class of large sedans, at 19 mpg city, 28 mpg highway. In 2008, all Avalons got a new face with revamped bumpers, headlamps, and grille, along with new tinting for the taillamps; overall its appearance became a little more distinctive but not any less conservative. The XLS and Limited models get new wood grain and a power passenger seat. 2009 Toyota Avalon XLS models pick up larger 17-inch alloy wheels, while Limited models gain chrome door handles. The Avalon's interior alone is a strong selling point; its passenger space is one of the roomiest of any sedans, with soft, highly adjustable front- and backseats that are contoured adequately for large adults. The trunk is plenty big for a very large suitcase, plus several smaller ones. Three adults can sit in the backseat of the 2009 Toyota Avalon and have just enough shoulder room and space to sprawl their legs. The 2009 Toyota Avalon is offered in three different trim levels—XL, XLS, and Limited—that span quite a range in price and equipment. The Limited piles on luxury gear, including heated and ventilated front seats, wood grain trim, a Smart Key system, a power rear sunshade, aluminum scuff plates, and a high-end JBL sound system with an integrated Bluetooth hands-free interface. Sound systems now have MP3 capability and an auxiliary port for iPods. Major options include a DVD-based navigation system, a remote start system, Dynamic Cruise Control, and heated and ventilated seats. The 2009 Toyota Avalon has achieved top marks in crash tests, with the best five-star ratings from the federal government in frontal and side impact tests, plus top "good" results from the insurance-affiliated IIHS in frontal and side impact tests. It was rated "poor," however, in the IIHS rear impact test. Electronic stability control is now standard across the 2009 Toyota Avalon line, as are anti-lock brakes, front side airbags, side curtain bags, and a driver's knee bag. The 2009 Toyota Avalon is sleek and sophisticated inside and out, but some might find it boring. Editors at TheCarConnection.com note that the 2009 Toyota Avalon, on both the inside and the outside. is designed to appease high-end drivers. Car and Driver succinctly calls the 2009 Toyota Avalon "Toyota's Buick." While it doesn't blow anyone away, neither does it offend, and its interesting-to-some creases and folds lend it a bit of flair. "Too many unnecessary angles," complains Motor Trend, though "at least it's interesting for a change." "The new Avalon wears a more stylish suit of clothes than in the past," claims Road & Track. Reviewers generally favor the interior styling of the 2009 Toyota Avalon. "Any Toyota Avalon feels upscale and inviting," contends Edmunds, citing an "attractive and ergonomic control layout, and high-quality materials." There are other nice touches inside, "including the Optitron gauges once exclusive to that brand," says Road & Track. The 2009 Toyota Avalon is designed to handle smoothly and provide a comfortable ride—and it does so quite well. 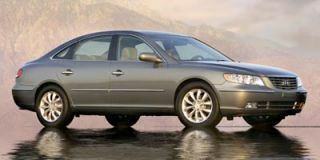 Experts at TheCarConnection.com note that the 2009 Toyota Avalon is far from the sportiest vehicle on the road—but it does a good job of providing a smooth, luxurious ride. The sole powerplant in the Avalon, the dual VVTi engine, cranks out an enthusiastic 268 horsepower and 248 pound-feet of torque. "The current Avalon is among the quickest big sedans in this price range, thanks to a very potent 3.5-liter V6," attests Edmunds. Motor Trend finds it carries the "Avalon to the 60 mark in a purposeful 6.2 seconds," and that's with the older five-speed automatic transmission, which has been replaced with a six-speed in more recent years. Acceleration is up with the new transmission. The Avalon's fuel economy ratings are among the highest in its class of large sedans, at 19 mpg city, 28 highway. Edmunds finds that the 2009 Toyota Avalon is "at its best on the open highway." Clearly, straight lines must be the 2009 Avalon's forte, as most reviewers criticize the Avalon's handling, including ConsumerGuide: "Poised enough for a big family sedan," they begin, but are quick to add, "Some testers want more steering feel and weight." They also note "body lean is pronounced as cornering speeds increase." Car and Driver is more positive; the reviewer comments that "the Avalon's independent suspension provides a tauter, sportier ride-and-handling compromise than its forebear" and notes its "velvety ride quality." Edmunds likes the 2009 Toyota Avalon's "tidy turning circle" that "makes the Avalon feel unexpectedly nimble on tight city streets." Motor Trend praises the Avalon's stability control system, calling it "a particularly cushy catcher's mitt, grabbing wayward chassis gyrations without a stinging rebuke back to the driver." ConsumerGuide remarks that the "strong brakes are easy to modulate, but simulated panic stops induced marked nosedive." The 2009 Toyota Avalon is impeccably finished and has nearly endless amounts of space. A wide range of reviewers—along with the editors of TheCarConnection.com—love the interior comfort of the 2009 Toyota Avalon. Seating in the 2009 Toyota Avalon is generally well-liked. Edmunds considers the front seats "wide and accommodating, particularly in the Limited, which offers both ventilated seats and a seat-cushion length adjuster." Consumer Guide states that the front of the Avalon is "large-adult roomy with supportive seats." The rear is an even better story in the 2009 Toyota, offering remarkable room and great comfort, courtesy of seats that recline. Motor Trend likens the rear seat room to "the sort of stretch space a pricey ticket buys you on Virgin Atlantic." Edmunds notes that the flat floor in the rear makes it "a legitimate proposition to seat three adults." Road & Track lauds the "flat floor and a 60/40-split rear seatback that can be reclined through 10 degrees in any of five positions." "The trunk has space enough for most family excursions, but packing gets complicated by intrusion from the wheel housings and trunklid hinges," comments ConsumerGuide. 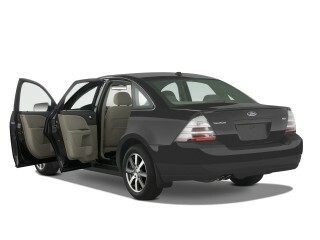 Unfortunately, the Avalon lacks pass-through folding seatbacks. 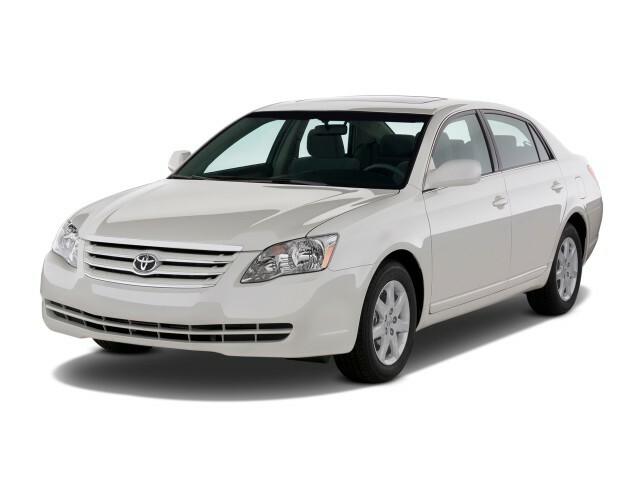 In general, ergonomics and material quality are first rate in the 2009 Toyota Avalon. 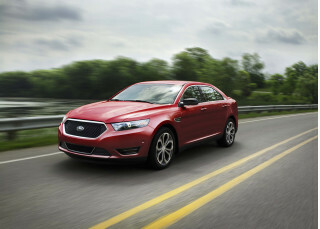 Road & Track likes the "flat-panel switches, which are nicely lit at night." Ride comfort and isolation fall into the same category: "The V6 sounds rich during acceleration and is always subdued while cruising," compliments ConsumerGuide. Motor Trend comments that "Toyota's flagship extends the limousine impersonation with, shall we say, noticeable silence and astute absorption of road imperfections." The 2009 Toyota Avalon is a good performer in the safety category. Drivers and families will be pleased. The 2009 Toyota Avalon offers a bevy of fabulous features. 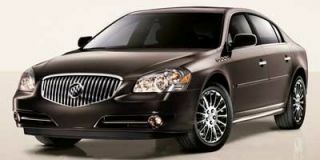 Reviewers point out that the 2009 Toyota Avalon offers a generous feature list that will please even picky buyers. The Avalon follows a three-tier trim structure: XL, XLS, and Limited. "The standard equipment list is lengthy even on the XL," says Road & Track, and it features items such as an eight-way power driver's seat, dual-zone climate control, and a nine-speaker sound system. It starts a bit below $28,000. The luxury-oriented XLS includes items such as leather seating areas, a wood-trimmed dash, 17-inch wheels, a power tilting-and-sliding sunroof, heated power side mirrors, and an anti-theft system. To the XLS' features, the top-of-the-line Limited, priced at $35,075, adds luxuries such as a 360-watt, 12-speaker JBL stereo, heated and ventilated front seats, rain-sensing wipers, high-intensity-discharge headlamps, and memory side mirrors with puddle lamps and LED turn signals. Steering wheel-mounted audio controls, a six-disc CD changer, and an auxiliary audio input jack are standard across the board. Bluetooth compatibility is included in the Limited model. "Many of the upscale features on the XLS and Limited are also available as options on the lower trims," notes Edmunds; this can be a boon for picky drivers who don't want to commit to a pricey package for the one or two features they crave. Edmunds points out "other options, depending on trim level, include a navigation system, satellite radio and laser-based adaptive cruise control." One of Kelley Blue Book's favorite Avalon features, standard across the model line, is "the five-position rear-seat recliners" that "adjust from a 25 to 35-degree seatback angle."